"Success depends on the relationships that pharmacy professionals build." Caring is an experience, defined not just by what pharmacists and pharmacy technicians do, but equally by how they do it. How they communicate (listening, speaking, and body language) is the gateway to every experience. Empathy and listening build trust and possibility. We invite you to read our annual report and learn about how ACP has nurtured the care provided by Alberta’s pharmacists and pharmacy technicians, and the impact of their care through the patient stories we have shared. "ACP Council is committed to achieving and maintaining excellence in pharmacy practice." Stories and initiatives from the past year. The Alberta Court of Appeal ruled that ACP is within its mandate to ban pharmacists, pharmacy technicians, and licensed pharmacies from offering inducements in exchange for the provision of prescribed drugs, Schedule 2 drugs, or professional services. ACP Council issued position statements on both cannabis for recreational use and cannabis for medical use, in anticipation of the decriminalization and legalization of cannabis. Pharmacists are encouaged to discuss cannabis use when assessing individuals and to educate the public about the risks of cannabis. For the first time ever, ACP, the Alberta Pharmacists’ Association, the Pharmacy Technician Society of Alberta, and the Alberta branch of the Canadian Society of Hospital Pharmacists collaborated to create a 10-year roadmap for the future of pharmacy in Alberta. Opioid guidelines were introduced and naloxone became an unscheduled drug, while ACP supported an initiative to move non-prescription codeine drugs to prescription status. The TPP added tramadol and stimulants to the list of monitored medications. ACP continued to invest hundreds of leadership hours contributing to provincial e-health committees, supporting the college’s strategic goal to have patient care records that will include continuous documentation of pharmacist assessments, treatment plans, records of care, and monitoring results. For 30 years, Edmonton’s Reg Prandle has been dealing with high blood pressure and a long list of prescription medications. Reg's life was changed for the better thanks to developing a trusting, professional relationship with pharmacist Manju Nagra. On July 1, 2018, ACP will stand for Alberta College of Pharmacy. The new name is more inclusive of all the college’s registrants—pharmacy technicians and pharmacists—and better reflects the very broad responsibilities of ACP, which include governing licensed pharmacies. Most of Alberta’s pharmacists have earned authorization to administer medications and vaccines by injection. In fact, most Albertans who receive a flu shot each year receive it from a pharmacist. ACP collaborated with the CPSA and CARNA to create Guidelines for Medication and Vaccine Injection Safety. ACP launched a new version of its Structured Practical Training (SPT) program for provisional pharmacists. The new SPT program focuses on mastering the competencies required at entry to practice, as opposed to a traditional, time-based system of completing a set number of practicum hours. Manning resident Susan Dechant made it to Australia for the birth of her grandchild thanks to the tireless efforts of her pharmacist, Erin Albrecht. By collaborating with her doctor and developing a care plan, Erin helped Susan manage her anxiety and medications so that she could take the trip of a lifetime. In his initial interview of a newly-admitted patient, pharmacist Stan Dyjur noticed a high daily dose of opioids for hip and back pain. The medication was not as effective as desired, but the patient was not open to changing the dose or trying something different to manage pain. Stan persisted in his efforts, and found a more effective, appropriate solution. ACP is responsible for registering all pharmacists and pharmacy technicians, and licensing pharmacies in Alberta. ACP ensures that only qualified pharmacists and pharmacy technicians are registered and that licensed pharmacies meet the requirements to provide safe and effective practice settings for pharmacy professionals. ACP continued to see increases in both the number of pharmacists registered and the number of licensed pharmacies in Alberta. In 2017, ACP added 529 new pharmacists to the clinical register, on par with the increase experienced in 2016. Among the new pharmacists are 351 international pharmacy graduates, compared to 110 who were trained at the University of Alberta. Also trending is an increase in the number of pharmacists who cancelled or did not renew their registration. In 2017, 224 registrants made this decision, compared to 133 the previous year and 54 in 2015. It is believed that most of these registrants are international pharmacy graduates who moved to other provinces to practise pharmacy. The increase in the number of registered pharmacy technicians stabilized in 2017. This is due to the closing of the transition pathway for existing provisional pharmacy technicians to become pharmacy technicians in 2016. The transition pathway opened in 2011 when pharmacy technicians became regulated by ACP. All new candidates must now complete an accredited educational program, or be registered as a pharmacy technician in another province and transfer through the labour mobility agreement. In 2017, 108 new licensed pharmacies opened, while 12 closed. Once again, this growth is consistent with that experienced last year. Most new licensed pharmacies are independently owned. Pharmacy professionals maintain competency in their practice through professional development and lifelong learning. ACP supports this with our continuing competence program (CCP). ACP and its registrants work together to identify competence goals to ensure that learning transfers into practice. 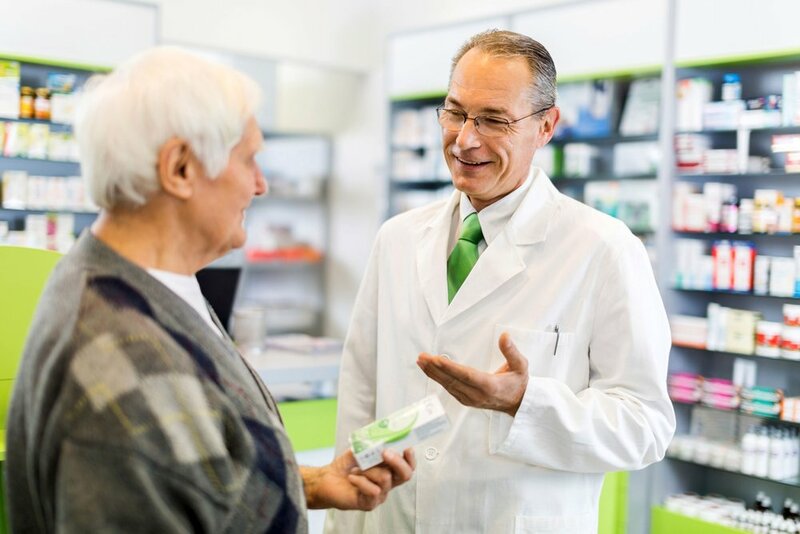 Pharmacy professionals are required to build on their competencies to assure themselves, their patients, and their healthcare colleagues that they are providing quality care throughout their careers. All pharmacy professionals must complete the competence program requirements annually to earn practice permit renewal. Flexible - to accommodate different practice settings and learning preferences and to address the full spectrum of learning. Engaging – to inspire career-long learning, peer-to-peer interaction, and opportunities to connect with mentors, thought leaders, and subject matter experts. Forward-looking – to help meet the changing needs of Albertans, integrate with other ACP programs, and provide support throughout careers. Sustainable – to anticipate growing and diverse populations and use evidence-informed tools that can be applied to a diversity of practices. Responsible – to meet legislative requirements and provide reliable measures to ensure that regulated members are competent to provide safe and effective care. One of ACP’s core responsibilities is to resolve complaints about pharmacists, pharmacy technicians, and licensed pharmacies in Alberta. While most Albertans have positive experiences with their pharmacy teams, there are times when concern is raised by members of the public and by regulated health professionals. ACP makes every effort to resolve complaints in a timely, thorough, and fair way, while remaining transparent in our processes and accountable to the public. Issues of public concern – issues that are resolved by ACP through a customer service approach. Formal complaints – more serious complaints that are formally investigated by the complaints director. In 2017, the average number of days to resolve formal complaints by the complaints director was 19 days, down from 36 days in 2016. This resulted from several formal complaints being resolved in fewer than seven days, accommodated through the cooperation of respondents who promptly complied with the requirements. More concerns were resolved through a direct, responsive, and informal process. This process involves ACP’s Complaints Department staff speaking with both the complainant and then the respondent, providing information, education, reference to applicable standards and/or guidelines, and then assisting the parties to resolve the concern between themselves. The number of issues of public concern increased in 2017, as did issues where the complainant was a pharmacist or other health care professional, and not a member of the public. Each year ACP also presents a number of awards to those who have achieved significant success in their academic, professional, and leadership pursuits relevant to pharmacy practice in Alberta.